We specialize in Ogden garage door repair and replacement. Our team has experience handling a variety of garage door repairs on all types of garage doors. Whether you are dealing with a broken spring, noisy roller, or door opener issues, Advanced Door is here to help! Is your garage door the eyesore of your home? Choose from a wide selection of steel and wood garage doors for your home. Do you want to reduce energy costs? Find out how an insulated garage door can reduce utility expenses and enhance your home. Call today! SEE WHAT THE DOOR WILL LOOK LIKE. I had a spring break on a 10 year old door. I called and they called back two hour's later the tech called me and was ready to work.. I was at work and told them I'd be home at three o'clock. I got home and they were waiting ready to give me a quote. They found some other worn out part's and missing part's from the install. They had all the part's on the truck ready to go. My door work's much, much better. I would not hesitate to call them again! Garage doors are both convenient and important for your home or business. First of all, they offer a safe and secure place for you to store your vehicles and other valuables. Secondly, they offer privacy and security to keep out unwanted people. If your current door is not working properly or is damaged in some way, it is not just an inconvenience; it can become a safety issue. Whether you are building a new home, need to replace the garage door you already have, or just need some small repairs, the team at Advanced Doors knows how to quickly and efficiently get the job done all while being kind, courteous, and knowledgeable, especially while they’re working at your home. 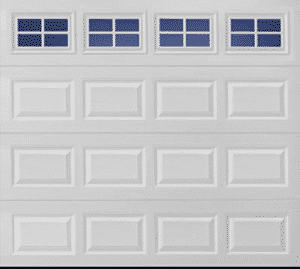 Because we know that every home and business owner is going to want something different, we have a very large selection of garage doors with designs, styles, and colors for everyone to choose from. In addition, we can help you to customize the perfect garage door for your home or business. That way, you’ll never have the same garage door as one of your neighbors. If you’re looking for a new garage door, need repairs, or just have some questions about your garage, call Advanced Doors today at (888)-377-3667!